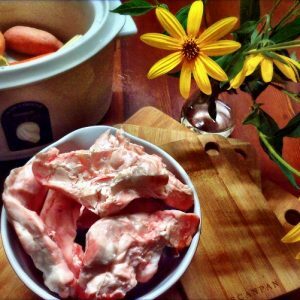 Organic beef bones for making nutritious beef bone broth, soups, roasting or to feed dogs. 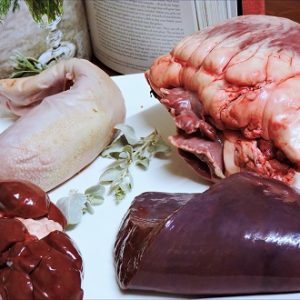 A selection of different meaty bones (rib, neck, and knuckle bones) will be included. Depending on supply, your box may also contain some marrow bones, but this cannot be guaranteed. If you’d rather be sure, we suggest ordering beef marrow bones separately. We offer 2 sizes of beef bones: small and large. For more information and specific pricing, see the details tab below. 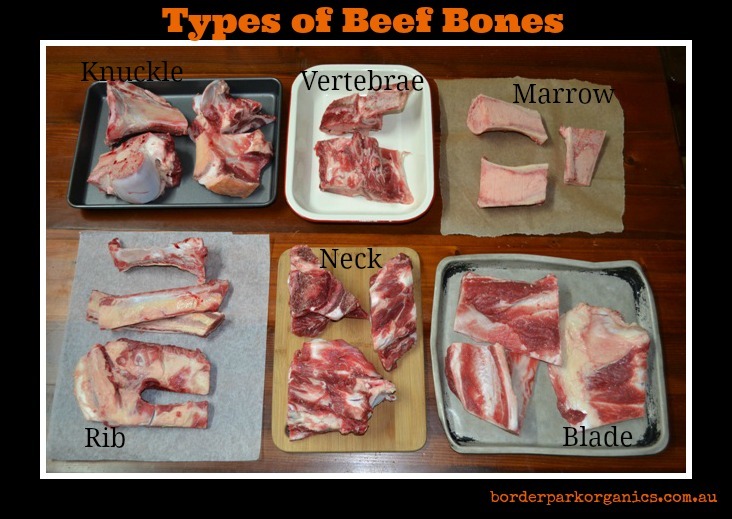 Beef bones have a very short shelf life of 2 – 3 days from packaging, and should be cooked or frozen as soon as possible. For best storage results, store wrapped in baking paper and then in a ham bag (to allow for more circulation and less sweating). Place in the coldest place in your fridge for a maximum of 3 days from receiving your order, or freeze for up to 1-2 months. Great joint bones, make my stock/bone broth gel nicely! Thank you! I found the small box had a good variety of bones, and enough of them to make 3 batches of tasty and gelatinous bone broth. 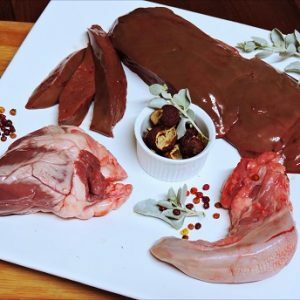 Glad to find high quality grass fed beef bones for this purpose, thankyou! 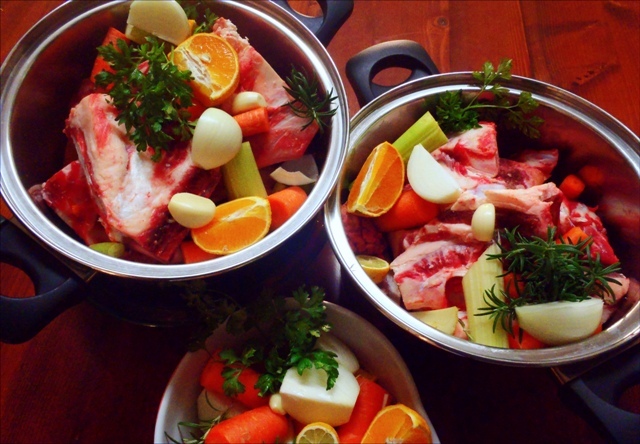 Terrific to hear Nicole … there’s nothing quite as satisfying and nourishing as bone broth!